'Resurrection' sets up what looks to be a fantastic new plot line for Daredevil. Season 3 of Marvel’s Daredevil has a lot to live up to—especially with Netflix cancelling half of the Defenders shows at the click of its fingers. Thankfully however, Daredevil may have just opened with its most exciting season premiere yet, with a fan favourite character returning to centre stage. ‘Resurrection’ opens with a quick but very nice summary of what happened to Matt Murdock after the final episode of The Defenders, and fans are introduced to a whole new side to Charlie Cox’s character. This time, we see Murdock lose his super senses and become almost helpless. This allows for a great focus on the character, and throughout the episode Murdock slowly tries to fix himself, showing not only fantastic character development, but also a fresh look at one of Marvel’s most popular small screen characters. Meanwhile, we get to see how Karen Page (Deborah Ann Woll) and Foggy Nelson (Elden Henson) deal with Murdock’s disappearance, giving an insight into the grief they feel and again showing that the showrunners and writers know exactly how to set up the stories for each character in a way that the second seasons of Luke Cage and Iron Fist failed to do. This episode also foreshadows the imminent release of Wilson Fisk (Vincent D’Onofrio), who remained somewhat in the shadows in the show’s second season. Each scene with Fisk has him in prison, sat opposite FBI agents, yet D’Onofrio still manages to dominate each scene so perfectly that it is clear he will be taking a major role in this season. In addition to this, Fisk also shows his softer side, and his sincerity when he attempts to clear his wife’s name from his crimes. Special Agent Ray Nadeem (Jay Ali) gets his introduction towards the end of ‘Resurrection’, and already the audience can sympathise with him. Ali makes us like Nadeem within minutes thanks to a fantastic performance. 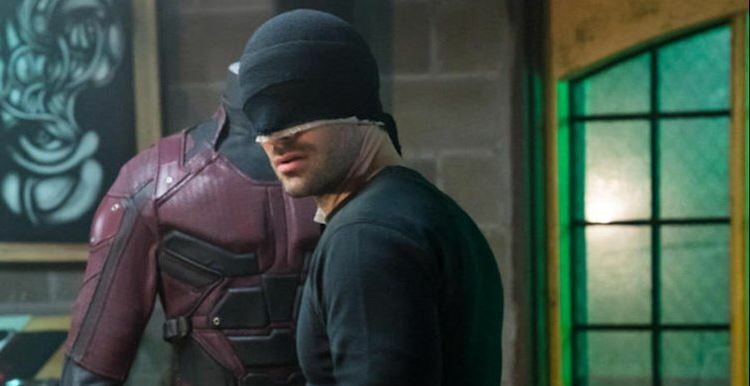 The entirety of Daredevil Season 3 is available to stream now on Netflix.